Your non-acquaintance to a used tractor can actually result in a dangerous drive. Accidents are quite prominent amongst used tractor drivers. Hence, we need to be extra cautious while driving a second hand tractor. Here are some tips for a safe and secured experience of tractor drive. 1. Observe the pre-owned tractor in detail before buying it. 2. Collect maximum information from the person who owned it previously. 3. Make sure you chose the one which was well-maintained before. 4. Ensure that your used tractor is not more than eight year old. 5. Rolling should never be entertained by your used tractor. 6. Check the condition of breaks. 7. Examine the electric system to avoid a short circuit on a rainy day. 8. Keep a regular check on tractor’s every part. 9. Never drink and drive. 10. Know the road well. Keeping all these points in mind, you can actually ensure a safe drive of a second-hand tractor. 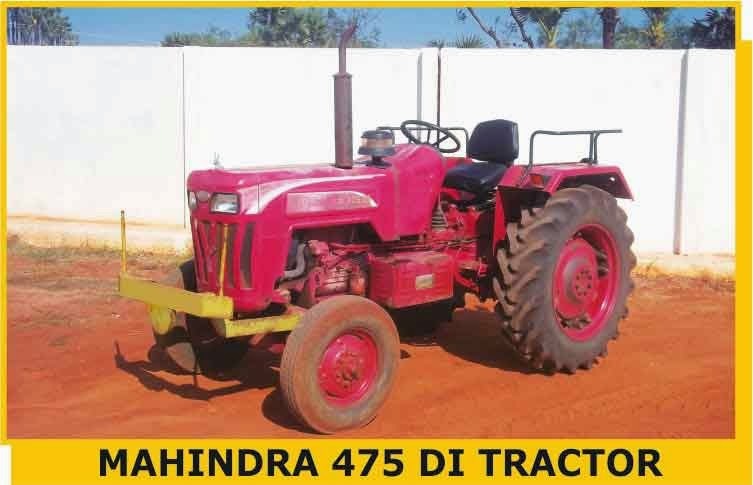 If you wish to own a used tractor, simply get in touch with Shriram Automall India Limited (SAMIL) – India’s one stop destination for pre-owned vehicles & equipment. Shriram Automall India Limited (SAMIL), country's leading service provider for pre-owned vehicles and equipment, has inked an agreement with Au FINANCIERs (India) Limited, a non-banking finance company (NBFC) based in Rajasthan. The tie-up has been set on the ground of complete solutions, promised by the service provider for parking and disposal of the NBFC's all types of pre-owned vehicles and equipment. SAMIL has committed transparent and organised bidding solutions in the disposal of their repossessed 3 wheelers, 4 wheelers, construction equipment, light commercial vehicles, medium commercial vehicles, heavy commercial vehicles, trailors, tractors, tippers, dumpers and other machinery. 24x7 safe and secured parking has also been promised in the agreement. Commenting on the tie-up, Mr. Sameer Malhotra (CEO of SAMIL) stated, "We have been associated with Au FINANCIERs from 2013 while providing holistic solutions for the disposal of their pre-owned vehicles. Through this alliance, we are all set to take this association ahead with our multiple bidding platforms, like physical bidding, online bidding, one stop classified kiosk and private treaty". State Bank of India (SBI) has renewed its agreement with Shriram Automall India (SAMIL), country's leading service provider for pre-owned vehicles and equipment, for pre-owned agricultural equipment. SAMIL had marked an alliance with the bank in January, 2013 for pre-owned tractors and now the company is extending its tie-up with holistic solutions in the disposal of bank's all types of pre-owned agricultural equipment. Millions of truck drivers dream of their own truck. They drive day and night through those difficult roads, so that one day they can buy their own truck and get 100% share in the profit. But that’s a long journey for them. Its such an irony that truck drivers, who are known for long and tough drives, find it difficult to cover this distance from a truck driver to the truck owner. Making that distance short, Shriram Automall India Limited (SAMIL) brings an ultimate bidding platform from where any truck driver can own a pre-owned truck. Now, the specialty of these used trucks lies in their amazing price range. Be it any type, brand or model, this Company has it all for you in the pre-owned truck segment. Here are some benefits of associating with Shriram Automall to be a truck owner. SAMIL has a state-of-the-art repair facility at Shriram Refurbishment in over 50 Automalls, across India. So, the used truck that you acquire through the service provider also comes with an option of getting it repaired, if required. SAMIL also provides easy finance on pre-owned trucks at a nominal interest rate that suits every pocket. Just a few EMIs and the truck is all yours. Used Cars Online - CLICK way to your Dream Car! The search for used cars online is a journey from one click to another, simple and quick. You scroll through thousands of options and there you get your dream car in very less time. So, let’s explore how exciting is this CLICKway to your Dream Car? · Multiple Choices in a Single Click! The world of online is vibrant and filled with numerous options. So, when it comes to used cars online, you are presented a wide variety, from hatchbacks to sedans, SUVs, and a lot more. With an impeccable scope for choice, you are surely going to get your dream car here. Since there are so many web-portals, serving a wide variety of used cars online, it’s so easy to get acquainted to the price trend in market. You can easily come to know different prices offered for your chosen pre-owned car online. All you have to do is choose the lowest one for yourself and place an order. Shriram Automall India Limited (SAMIL) presents an all new address for India to discover their used cars online – BIDS.SAMIL.IN It’s a highly interactive website, which conducts regular bidding events for used cars and other types of pre-owned vehicles. What makes pre-owned vehicle bidding a success in India? India is riding high on its aspirations with the rising demand for luxury. That’s how pre-owned vehicles have become the first preference of young India, which believes in giving a concrete shape to dreams. Being easy on pocket, used vehicles are India’s choice and drives millions of dreams on road. So, what if you were presented an exciting way of buying a used vehicle? Let’s say Bidding! Well, over a period of time, bidding has gained immense prominence with its widest reach that makes it highly accessible. Even, online bidding has wisely clicked billions of visits while justifying its desire amongst masses. Since both physical and online bidding events witness a huge footfall; there automatically becomes a reason for huge variety to choose from. These days, sellers prefer selling their pre-owned vehicle through bidding due to a better scope for maximum price realisation. In a bidding event, you are closely acquainted to the market trend through the bids received from numerous participants. This way, you always end up paying an appropriate amount for your chose pre-owned vehicle. Just imagine! You are sitting on your couch and purchase a pre-owned vehicle in a single click. That’s the convenience of online bidding. All you have to do is visit an online bidding website and make your participation a victory by quoting maximum value for your choice. 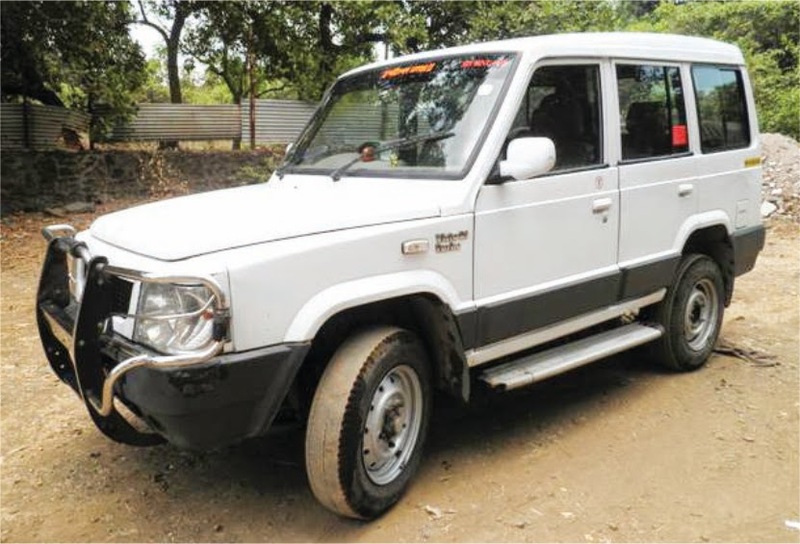 If you are looking for a single destination from where you can acquire any type of pre-owned vehicle that too with an option for physical and online bidding, both; then Shriram Automall India Limited (SAMIL) is a perfect place for you. Its unique bidding platforms facilitated acquisition and disposal of all the segments within pre-owned vehicle industry. Do you recently pass your high school and want to learn how to drive a bike? For this, you must need a used bike for practice. A second hand bike is a valuable option for those who have low budget or who want to learn and then purchase a brand new bike. Now, you are thinking from where to purchase a used bike for learning purpose. After few researches and interactions with the customers, we are sharing few precautions while purchasing a pre-owned bike. Check all the documents: Pre-owned bike papers must be genuine and carefully read it for identify any fault. It has been seen that there are chances of some faults. If you really got a fault, then you can select another bike for you. Kilometers run: Check that how much that bike runs through the meter in kms. It gives the real value of the second hand bike. Condition of bike: You must check the condition of the bike. Tyres are bald, cracked or in a good condition? Paint is scuffed, has scratches or dented. Accidental: Take the help of the mechanic and bring him along with you. He is an expert and knows about if any accident or any engine fault in the bike. Brand: You should consider the same bike brand which you are planning to buy new one. So that you will feel comfortable finally riding on the new bike. Relatively new: If you learning on the used bike it must have updated features or specifications. So, you are familiar with the same brand bike. Insurance: Check the insurance papers carefully. Lastly, take all necessary precautions while purchasing the pre-owned bike. Obviously, it is a new product for you and you have to maintain it for efficient usage. Have a peaceful and enjoyable ride! If you are looking to purchase used bikes in India, Shriram Automall is the right place for you. When it comes to buy a pre-owned car, every person has some different perspective to consider. In Today’s world, buying a used car can save your money a lot and ensures you that this choice will not cost you extra money. We know that your main concern about selecting a right car and at a best price. With that in mind, here is five beneficial tips that would definitely help you for choosing a pre-owned car. The foremost tip is to check the condition of the pre-owned car. You must make sure that both inside and outside look of the car is good. Outside of the car: Check for mismatched paint, scratches, dings & other imperfections that reduce the value. Inside of the car: Check the condition of the upholstery, scuff marks on leather, stains on cloth, or anything else that mars the interior. Also look at the visible parts under the hood. Dirty or rusty parts can show that the car was not well maintained, and you might have issues later. The mileage on used cars is the most important factor to decide the value of the car. The average mileage for a quality pre-owned car is not more than 85,000 for up to six years for old cars. Always do your research and find out the mileage of the ideal car you want. While purchasing a car you must check the car leakages. Leaks are a general indicator that a vehicle needs repairs. The best way to check it by taking it for a test drive. Just find a space where you can park the vehicle and then let the engine run for 30 seconds till 1 minute. Move the vehicle and check for fluid on the ground. On the test drive, notice how responsive is the brakes? Does the steering wheel turn smoothly? Are there any jerks during acceleration? Check the air conditioner or heater effect during the test drive. You should also check the working condition of the ignition, headlights, emergency lights, and all dashboard components. Are you ready to buy a used car? If yes, then you should have it inspected by a mechanic. Although visually inspected the vehicle the experienced mechanic can better tell you if there were any hidden or transmission problems and about the functioning of the engine. You must note these following tips that can definitely help you and feel confident and comfortable with your pre-owned vehicle. Last but not least, to make a proper buying decision, you must ensure that the used car you buy its best suited to your financial situation.